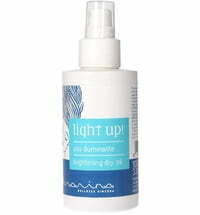 Bio Marina is a cosmetic line specially developed for the care of face, hair and body. These products are environmentally friendly, organic and vegan. The philosophy behind Bio Marina is directed at sustainability and holistic beauty, whereby the outer appearance mirrors the soul. When beauty meets playfulness and honesty it has a natural radiance. Bio Marina advocates natural and inner beauty without deviation. The products honour the beauty of the soul and reflect the search for holistic harmony, connection and balance. Marina says: "I love the idea of ancient alchemists; creating something exquisite from raw materials by ourselves. In doing so Bio Marina portraits honest beauty." Bio Marina's vision is that sustainability is a genuine and acceptable necessity that also proves to be effective, rewarding and fun. An expert team helps create packaging with a "fresh" design, breaking through the pattern of classic cosmetic imagery, and taking the leap into feminine, harmonious and funny playful. The ingredients were carefully selected to create a product line with perfect consistency and foaming effect, prolonging the time between washes, thereby preventing hair damage. Inulin was selected based on its ability to supply optimal moisture and provide manageability. The fragrances used are of natural origin and are orientated towards the user's own desire. The scents are fresh, citrus, floral with a delicate woody note, spicy and at times a salty, sea scent. 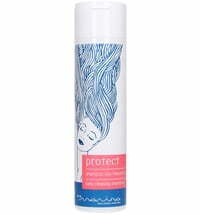 The new hair care products by Bio Marina include shampoos and conditions that not only maintain healthy hair but care for the scalp too. The product line is complemented by the "Light Up" hair oil. Protecting Shampoo: The nourishing active ingredient complex is made from jasmine blossom extract that firms the scalp, preserving and protecting the hair follicle to improve shine. Raspberry is ideal for daily use. Restructuring Shampoo: Passion fruit nourishes, protects and hydrates the hair, while flax and Damascene rose extracts provide shine. Balancing Shampoo: A blend of Helichrysum and pansy extracts help regulate the production of sebum. Going Deep! 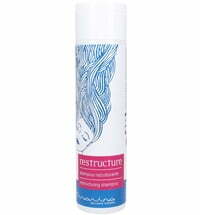 Restructuring Conditioner: Dry and limp hair is given back shine and volume. The active ingredient complex is made up of sunflower ceramides, organic rice extract, organic passion fruit extract and organic jasmine blossom extract. Light up! Brightening Dry Oil: The oil's formulation is rich in esters derived from sugar and coconut oil, that have a conditioning and detangling effect without weighing the hair down. 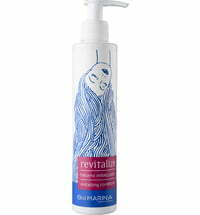 Discover the new hair care product line by Bio Marina here.